We help companies identify the best commercial properties for their business, establishing potential property issues for lease purposes, and organising efficient office moves. Understanding what an organisation wants to achieve is paramount to developing a move strategy with our relocation services and move management, starting with our and relocation plan. Our management team work closely with the client to formulate a detailed relocation schedule to list all tasks, deadlines, milestones and critical deadlines. Our expertise enables the client and their staff to stay focused on their day job, with the minimum of involvement whilst still being in control during the pre-planning stages. 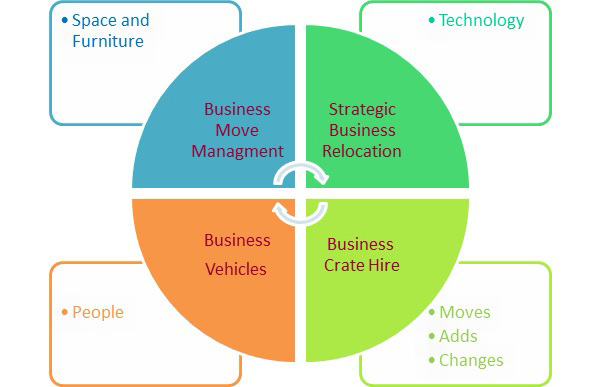 The simultaneous relocation of a group of employees from one location to another can be a challenge for businesses. These moves are usually caused by a strategic change in the organisation, and are therefore a huge undertaking, requiring considerable support. For small-churn or large corporate projects, if you want a seamless business move with zero business downtime, why not contact us today for a chat?. We develop and deliver office removals solutions to fit your project and meet your demands.